1.2.2 number of ounces per square. 1.3 Should You Really Make A DIY Weighted Blanket? 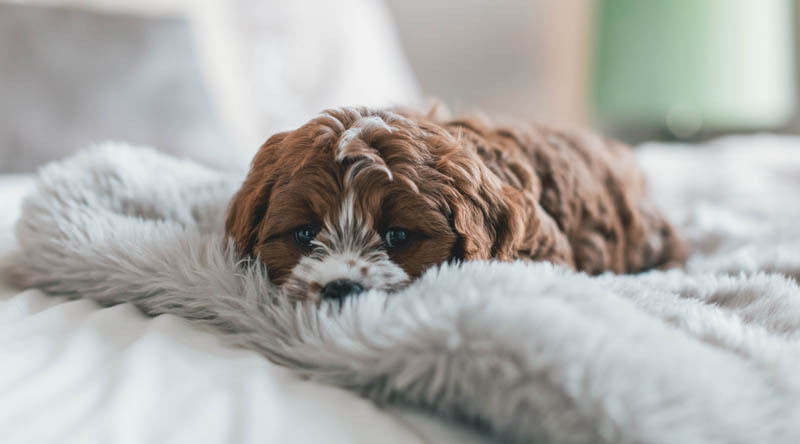 Over the past years, weighted blankets have been proven for their wide range of health benefits for those who use them. They provide a relaxing feeling for those who are having a hard time falling and staying asleep. Aside from helping those with sleep problems, they have shown promise in alleviating the symptoms of certain conditions such as autism spectrum disorder, anxiety, attention deficit hyperactivity disorder (ADHD), stress disorders, and depression, among others. On the other hand, you might get surprised at how much one they cost. For starters, the cheapest can range from $150 and $300 depending on the materials used, the type of fabric, and weigh. But, if you’re short on budget, and really wanted to have one, you can actually make your own! They may take some time and effort to make, but they’re definitely worth it. It’s less expensive and you can enjoy the time making your very own from scratch. They come in various sizes, colors, materials, and weight, to best suit the needs of the people who’ll use them. There are numerous options, depending on your needs and wants. First off, you should decide on what material you want and from there, you can shop for the materials to be used. If you’re really interested in making your homemade DIY weighted blanket, here’s a tutorial for you. You may become hesitant to make your own weighted blanket because you’re unsure of what to do. Don’t fret, this tutorial will let you know how to assemble the weighted blanket. First off, you need to determine the size of your blanket. Make sure you know how big and heavy it should be. For those who want a portable cover, make sure it’s smaller than your bed. Also, you don’t want the edges to fall off the bed, which can be very uncomfortable on your part. The materials stated above will create a blanket with an approximate size of 40” x 76”, which is equivalent to a twin bed. Make sure to take into consideration the weight of the fabric, if it’s thicker, weigh it first to make sure you’re going to have an ideal weight for the finished product. When you have all measurements ready, assemble the fabric right sides together. Measure about two inches in on two of the long sides and another one of the short sides. This will leave you with a side open. This is where you will add your plastic pellets. 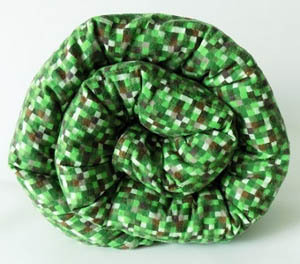 When you’redone sewing the lines, it’s time to turn the fabric inside out. At this time, it’s better to iron the edges so they will look beautiful and even. You can now add the weights or plastic pellets inside. Measure the blanket and since you’re taking off about 4 inches from each side, you’ll be left with an area of about 36” x 72”. Now, divide the remaining area into even squares. number of ounces per square. Fill each column with the pellets you want per space. For about 4 x 4 inch compartment, you can add about ¼ cup of pellets. It all depends on your measurements. Take note that the final blanket should not be heavier than about 10 to 15 percent of the child’s body weight and no more than 5 to 10 percent of the ideal weight of an adult. After filling in all the spaces, sew along the vertical lines to create channels that are six inches apart from each other. This is where the pellets will be poured. Make sure to shake them so they can settle to the bottom. You can now seal the line of the squares by measuring about six inches from the bottom seam. Sew a straight line across it to seal each pocket. Repeat these steps until all the squares have been sealed shut. Finish off by stitching everything and seal up the top row of the squares. At last, you can now use your weighted blanket. Check everything to make sure no pellet will go out of its square space. It might be a good idea to wash the blanket first before using it for the first time. Should You Really Make A DIY Weighted Blanket? 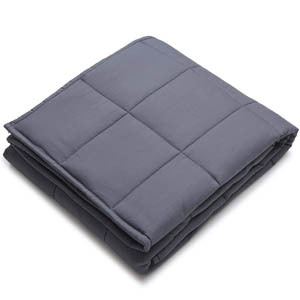 Weighted blankets are beneficial for people with sleep disorders and those suffering from certain conditions. These were proven to alleviate certain symptoms of anxiety, depression, autism, and ADHD, to name a few. Today they quite are in demand and they can get quite expensive to buy, especially from a reputable source. As a result, many people with sleep problems, stress, and anxiety may have a hard time getting one, especially on a budget. That’s why a homemade DIY blanket is a good way to reap the benefits of deep touch pressure without spending too much. There are many ways that can help you make your own. The advantages are that they’re customized and they’re personalized. This means that you can choose the type of material, fabric, color, and textile you like. Also, for your kids, you can let them choose the design they want, making it individualized and personalized. They can benefit a lot of people, especially those who want to have a good night’s sleep, but the most important one is, providing a calm and relaxing environment to those who are suffering from mental health issues, sensory perception problems, stress disorders, and developmental problems in children.